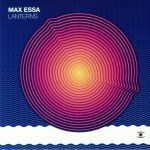 Review: Barely a month has passed since the release of Max Essa's latest sumptuous long-player - the lovely "Lanterns" on Music For Dreams - but the Balearic hotshot already has more killer cuts to showcase via a second EP for Hell Yeah Recordings. 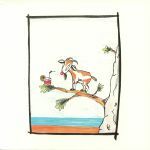 The real triumph is languid A-side "Han Zoc Roc (Midori Coup)", a gently unfurling fusion of slow motion electronics, gentle beats, meandering melodies and blissful instrumental solos that changes shape several times over 13 mesmerizing minutes. Over on side B, the jazz guitar-rich wonder that is "How You Showed Me Everything" sounds like a tribute to Antenna classic "African Queen", while "Rainbird's Alfafa Jam" is a slightly more energetic workout that could arguably be described as "Balearic funk".